We're excited to annouce we have a monthly residency at The Sutler! Every second Wednesday of the month we'll be in the cellar of The Sutler making music with some of our favorite Nashville musicians! 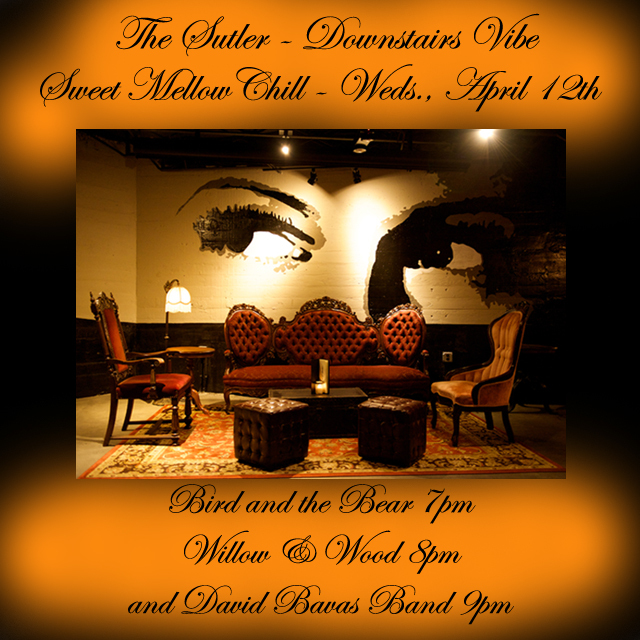 This Wednesday, April 12th will be a night of vibey, moody, beautiful music downstairs in The Sutler's cellar with The Bird and The Bear, Willow & Wood, and David Bavas...so excited to be joined by some of my favortie Nashville musicians to help celebrate my birthday!